The average cost of a nursing home has skyrocketed in recent years, and now more than ever it’s become increasingly difficult to afford the care that many seniors require. 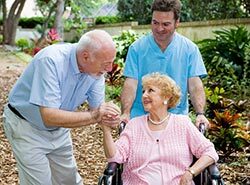 In order to avoid nursing home spend-down and improve the protection quality of assets, individuals often place their assets into a trust. Additionally, placing assets into a trust helps avoid other pitfalls that some seniors face, such as scam artists, unforeseen medical expenses, etc. Can a Trust Provide Adequate Protection? When crafted with the help of an experienced elder care attorney, trusts can go a long way in preserving assets while saving on probate and estate administration costs. In order to get an asset protection trust to work, the ownership of the assets must be changed into the name of the trust, and this trust will be managed by the trustee. While the former owner must “give up” ownership of the assets placed into the trust, they still have control over how the trust assets will be handled and who receives them. Sometimes there isn’t time to create a trust, which is where Medicaid planning comes in. To protect assets while going into nursing home care, individuals can create a spend-down plan that will maximize Medicaid regulation and rules to obtain an ideal solution. 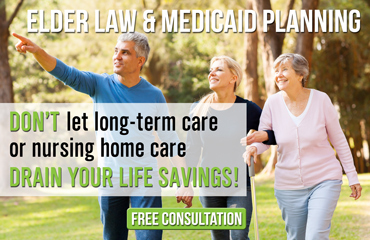 An elder law attorney can help find ways of utilizing techniques to preserve assets while applying for Medicaid. Long-term care insurance can also minimize the risk reducing one’s life savings or other valuable assets while staying at a long-term healthcare facility. There are numerous policies available, and people reaching the years of retirement should start looking into options that will help pay for their future care. If you’re trying to decide between a will or a trust, or if you’re seeking other methods for protecting your assets before, during, and after a long-term stay, it’s best to seek professional legal advice. The Elder Law Firm PC can help you decide between the all available options for your situation. If you have a question regarding wills and trusts, or you’re wanting to draft a document as soon as possible, contact as at (877) 933-7252.